Luang Prabang is a magical little town in northern Laos that has been designated as a UNESCO Heritage Site for its unique fusion of European and Lao cultural traditions and architecture. Maison Dalabua is situated a short walk away from the historical center of town and is the perfect place to find serenity in a popular tourism destination. “Maison” means house and “Dalabua” means “Princess of Lotus”: a perfect name for an elegant retreat surrounded by lotus and lily ponds. The boutique hotel has 26 rooms, a spa, swimming pool and restaurant, Manda de Laos. I recently stayed for three nights at Maison Dalabua prior to a month of intense yoga teaching in Vang Vieng at Yoga in Vang Vieng. I chose to stay at Maison Dalabua for its laid back, elegant and peaceful vibe & setting and spent my time lounging by the pool and designing yoga sequences. I also used the hotel as a base to explore the town of Luang Prabang as well as ventured out to the Kuang Si Waterfall (tip: it’s not blue during monsoon season!). The hotel is just a quick 10 minute drive away from the Luang Prabang airport and pick ups can be easily arranged by the hotel at US$10 one way. There are several different accommodation options available at Maison Dalabua. I stayed in a deluxe room and it was extremely spacious yet cosy. The touches of traditional Lao decor in the room were beautiful and I also had access to a large covered private deck overlooking a lily pond. The furnishing in the room was classy and simple, and the mattress was firm – every night around 6 PM the staff offer turndown service. Wifi is free and the signal was fairly consistent throughout the hotel and in the room but slightly weaker out by the restaurant. Who needs wifi when you have lily ponds ? The room rates are extremely reasonable and I paid approximately US$215 for 3 nights (US$72 a night) including breakfast in August, which is low season for Laos. Rates are typically slightly higher from October to March. The pool at Maison Dalabua is a wonderful place to lounge about and enjoy doing diddlysquat while soaking up the sunshine before hopping into the water to cool off. Even though I visited Luang Prabang during rainy season, there were still windows of prolonged sunshine in the morning and afternoon. If you’re staying in one of the poolside rooms, you can pretty much roll out of bed straight into the pool. The spa at Maison Dalabua is located in the main reception building and offers traditional Lao massage (similar to Thai massage) and aromatherapy treatments. The prices are, in my opinion, dirt cheap at approximately US$20 for a 1 hour massage in a beautiful (AND CLEAN) treatment room. I tried the traditional Lao massage and the pressure was perfect – the therapist, a small Lao lady, wasn’t afraid to really kick the pressure up a notch when I asked for more. I’m a massage masochist, so sue me! 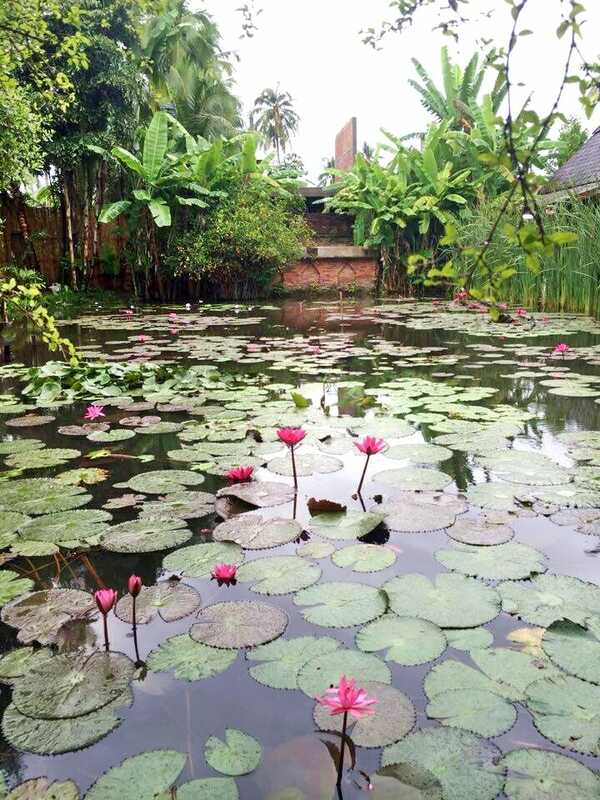 One of the most unique features of Maison Dalabua is their lotus and lily ponds. The property is surrounded by beautiful, still ponds and hundreds of lily and lotus pads that blossom during the day and decorate the landscape in splashes of fuschia. The breakfast terrace is located right next to one of these ponds so you can sip your Lao coffee in the morning and admire the beauty that surrounds you. The breakfast selection in the morning is fantastic and offers both Western and Asian options: my favorites were the fresh mango and dragonfruit delicately placed on sheets of banana leaf, traditional coconut pancakes and croissants. For lunch and dinner, you can head to Manda de Laos and try their traditional Lao cuisine and delicious cocktails – I still dream about the pork spare ribs. Make sure you book in advance as they take outside guests as well – on my last night I forgot to make a booking and couldn’t get a table. Also make sure you bring cash or a credit card as they are an externally-operated restaurant and not run by Maison Dalabua, so you won’t be able to charge your meal to your room bill. 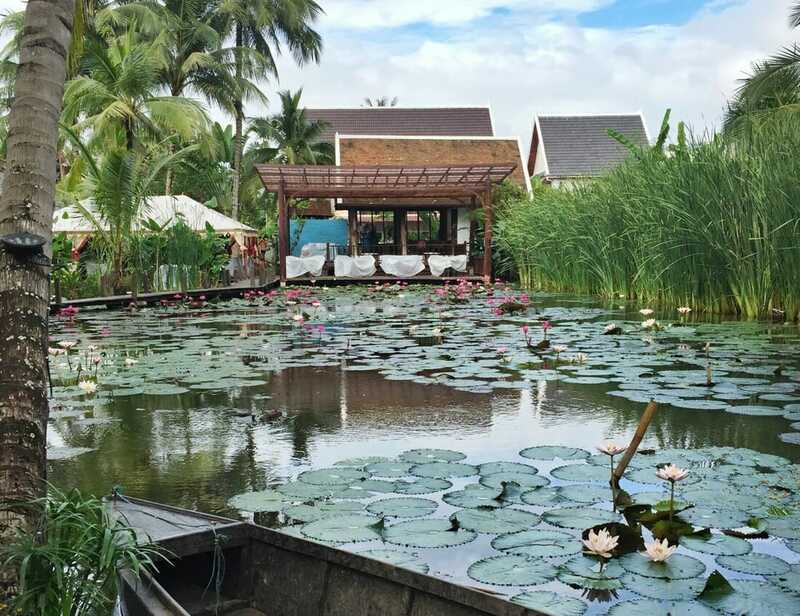 The lotus ponds and stunning room are fantastic, but what truly made my stay unforgettable at Maison Dalabua were the staff and exceptional service. Each and every person I interacted with was extremely friendly and accommodating, and their front office will bend over backwards to make your stay enjoyable. The staff helped to book my airport transfer, patiently introduced all the different attractions in town, helped organize a van to the Kuang Si Waterfall (US$35 for an air-conditioned van and private driver) and even booked my bus ticket to Vang Vieng. In addition to visiting the dozens of beautiful temples scattered around town and famed Kuang Si Waterfall, you could also climb to the top of Mount Phousi (don’t worry it’s a very manageable “hike” and only takes about 5 minutes to walk up) to catch the sunset. Just make sure you spray on tons of mosquito repellent and head there early to snag a seat. However, Mount Phousi is not actually my favorite sunset spot in Luang Prabang. Read this article on the best things to do in Luang Prabang to find out where I like to go to watch the sunset (minus the crowds). Many people also wake up at the crack of dawn to observe the daily alms giving ceremony; before you decide to participate, I encourage you to read this article for a list of things to consider. 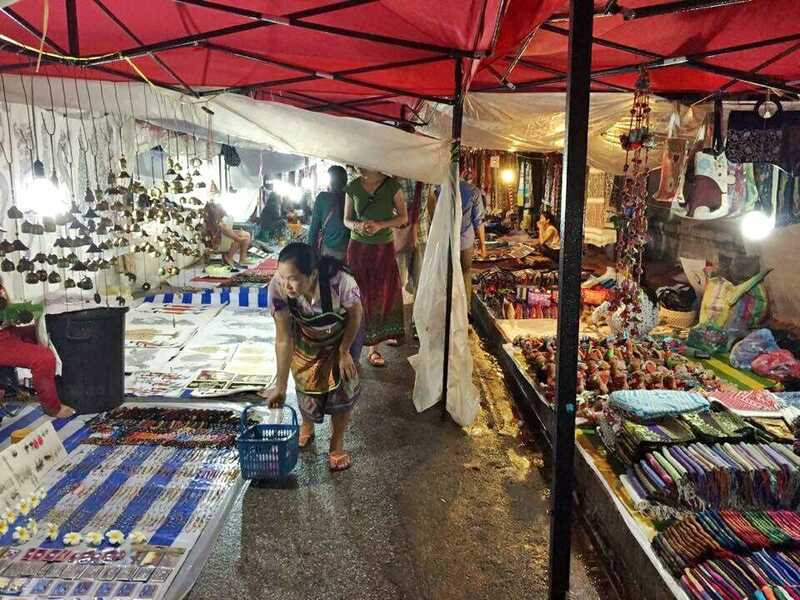 Maison Dalabua is also a 5 minute walk away from the hustling and bustling night market where you can check out local handicrafts and souvenirs, or pop into the National Museum of Luang Prabang. All-in-all, I had a restful and rejuvenating stay at Maison Dalabua. The property is one-of-a-kind and visually stunning, the rooms are the epitome of comfort and class, and the staff are well-trained, warm and were true ambassadors for Laos. I’m dying to revisit the Kuang Si Waterfall during dry season so I have a perfectly valid excuse to go back to Maison Dalabua again to get my fix of Lao glamour and hospitality. I can’t wait! Click here to book your stay at Maison Dalabua! 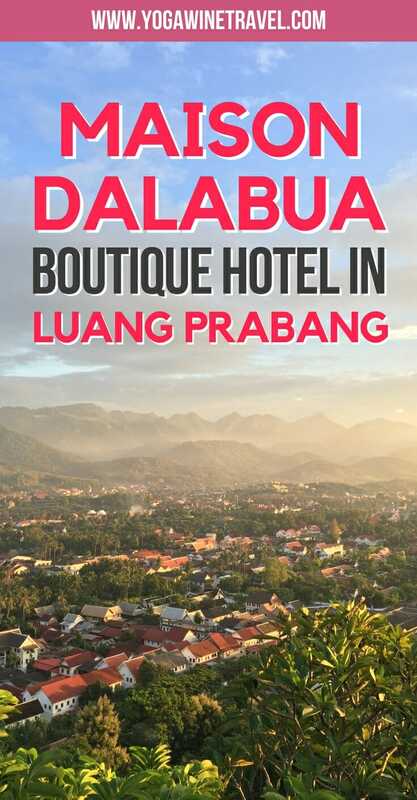 Are you thinking about visiting Luang Prabang or have you stayed at Maison Dalabua before? I’d love to hear from you below! Looking for more travel tips on visiting Laos? Head on over here! 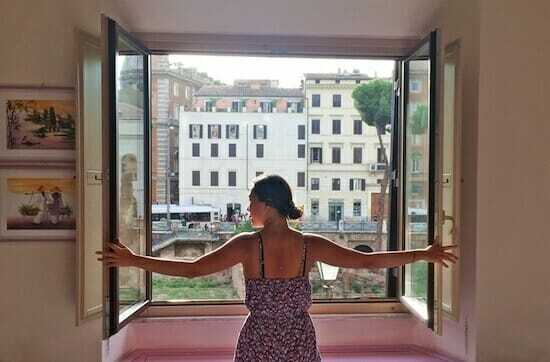 I stayed at Maison Dalabua as a paying customer, the opinions on Yogawinetravel.com are, and always will be, my own! 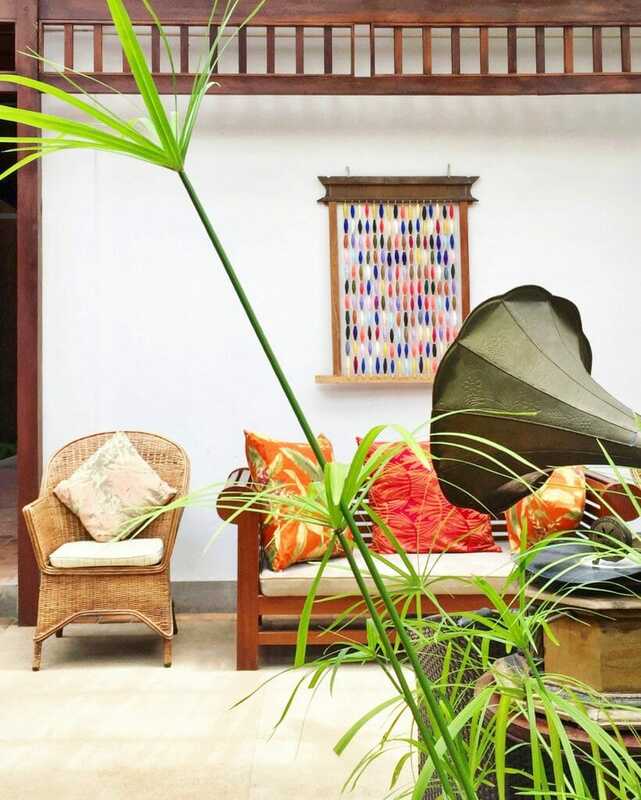 Such a fantastic read about Maison Dalabua in Luang Prabang! 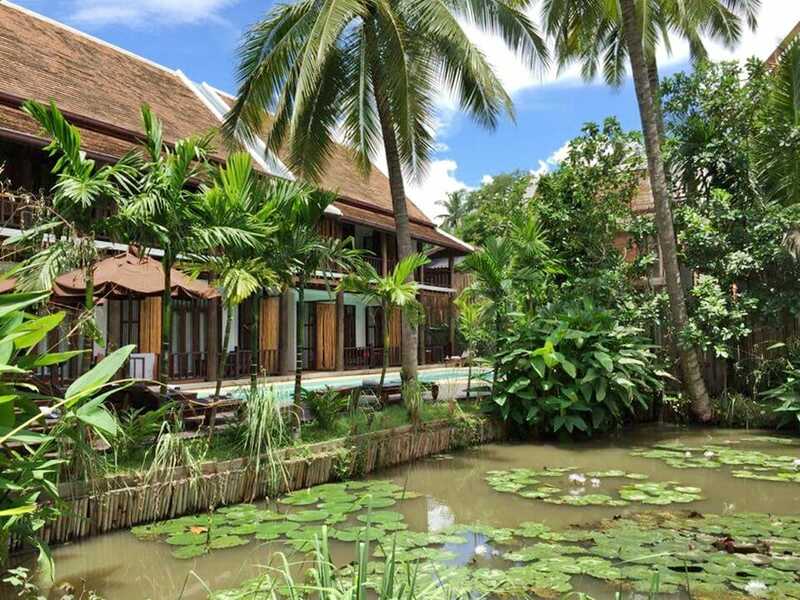 I have always wanted to visit Laos and this seems like a great place to stay! I can highly recommend Maison Dalabua, Tim! 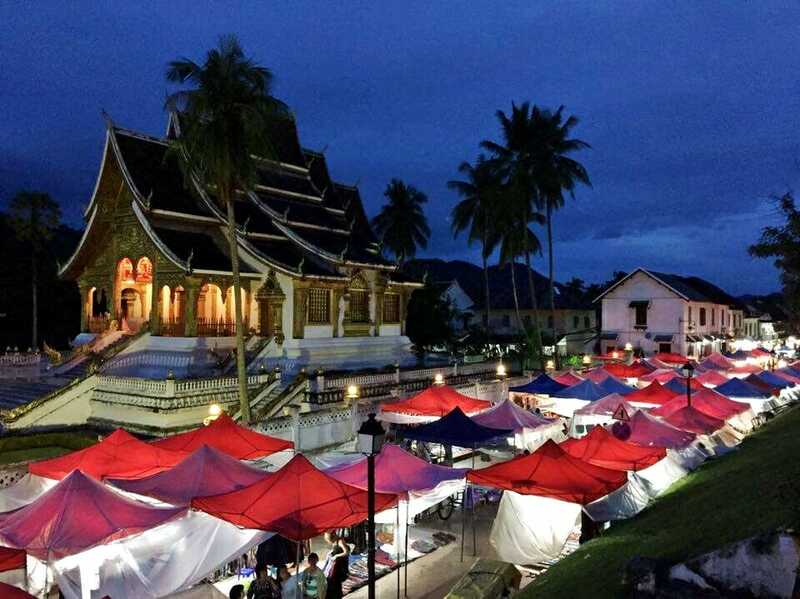 Luang Prabang is a magical town and you should definitely add it to your list of places to visit. Thanks for taking the time to read this! Need to go to Laos ASAP. This hotel looks great. Where can I book? Let me know if you make it over! This location looks so peaceful – another place I can’t wait to visit! Maybe it’s time for a trip over to Asia, Molly! You can visit Sri Lanka AND Laos, and then come to Hong Kong to see us! Yet another place I have to check out myself! I’ve always wanted to go to Laos and these photos of lotus ponds, sunset views, and lush green gardens look heavenly. It’s such a wonderful country, Lucy! The hospitality and warmth of the Lao people are unparalleled. I hope you get to visit one day! 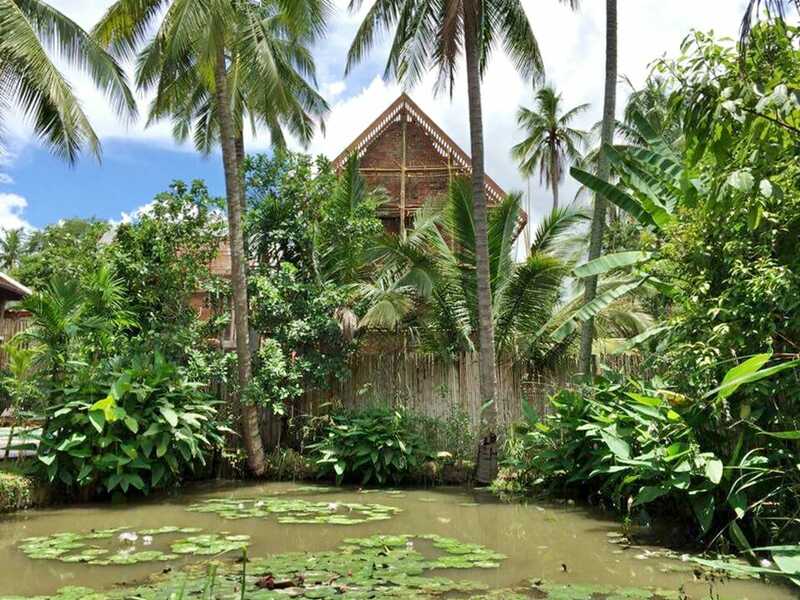 This place looks incredible – I stayed on the island of Don Daeng back in 2008 and fell in love with Laos, the people, and the food. Nothing beats that sunset over the river! Thanks for reading, Mark! I wish I had time to go further south and explore the islands. Will definitely have to visit Don Daeng next time! Really nice article! I like your style of writing- very informative yet personable at the same time! I’m about to go to Laos next month so will def check out the places you’ve mentioned above. Thanks for taking the time to read this, Cherise! Definitely visit Vang Vieng if you have time – it’s about 5 hours away from Luang Prabang and worth a visit! 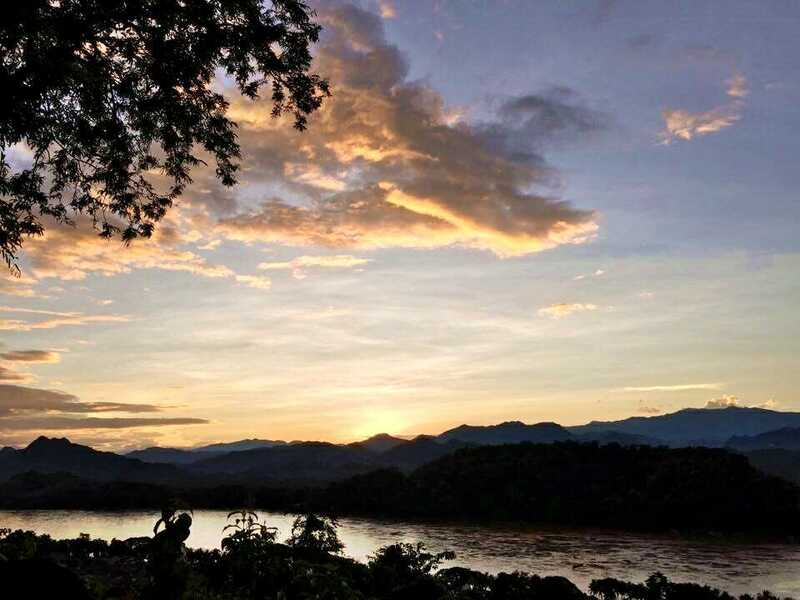 Laos has always been on my to-go list, this place looks perfect for meditation and yoga. Loved your photos and article, thanks for sharing! Thanks for reading, Teresa! You’ll definitely have to visit Laos soon – it’s a wonderful country! Thanks for sharing your experiences, love the photos and detail – it’s really helpful! I have not been to Laos yet and when I do I will definitely want to stay at such a tranquil & beautiful place. Thanks for checking this out, Larissa! If Laos is not on your travel radar yet it should be! It’s a seriously beautiful country and the Lao people are so hospitable and warm! 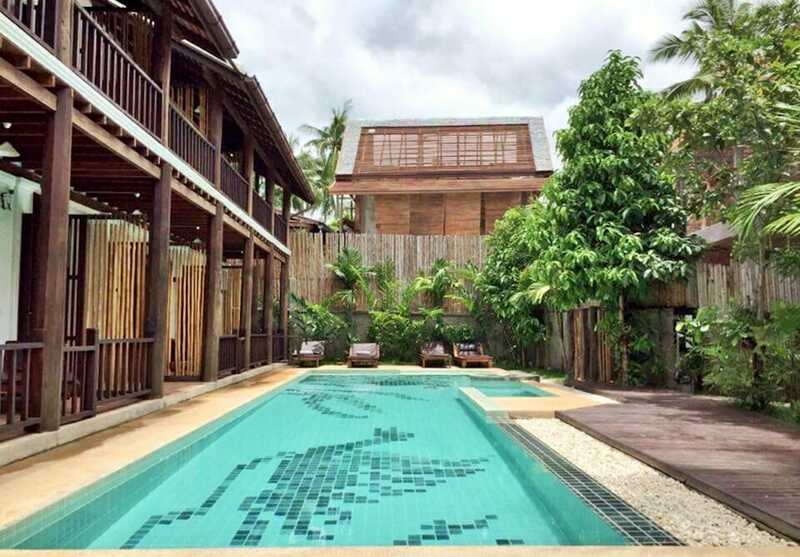 Never been to Laos and I love boutique hotels! Thank you for sharing this great find and it shall be next on my list! P.S. When would you recommend is the best time to go to Laos? Thanks for checking this out, Cecilia! 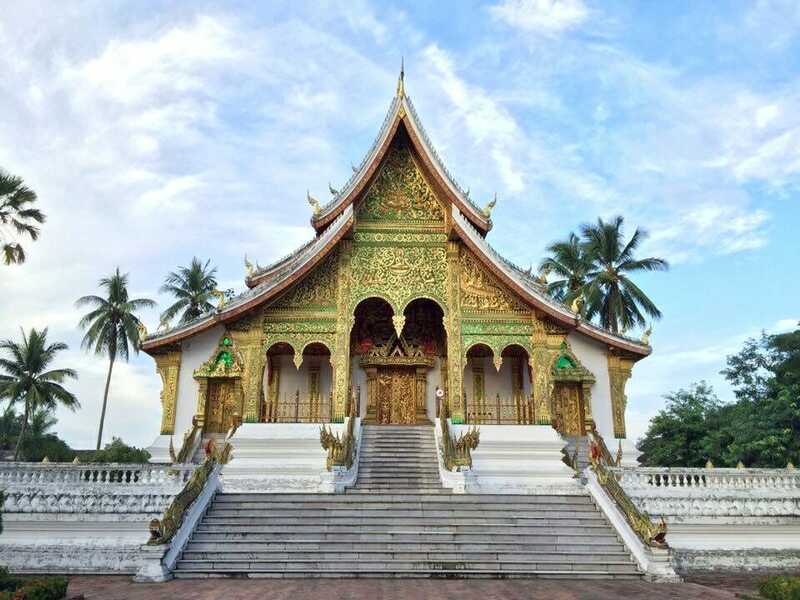 Laos is a truly wonderful country and I would highly recommend visiting Luang Prabang. The best time to go is October to about April (dry season) and the Kuang Si Waterfall is postcard perfect during this time! I LOVE hard massages, please keep a running list of the places that have them! Aren’t they just the best? I absolutely will keep a list! This hotel looks like something amazing! I like how the lily ponds delicately cover the grounds and there’s a nice pool to swim in and relax. I like how there’s some culture around the hotel as you can go see the monks give alms and go to a night market. Did you get anything cool there? I tried some delicious coconut pancakes! Thanks for reading, Gina! It seem to be an amazing place and the photo shots are so tempting i am just waiting to go there. Laos truly is a wonderful country – I hope you get to visit at some point! Laos is such an incredible country, I can’t wait to go back. I hope you make it one day! What gorgeous accommodations! I absolutely love the lily pads. And your photos are amazing! Laos is so beautiful. Laos and Cambodia are on my list to visit. Truly incredible – you were recently in Vietnam, right? Hope you had a great trip! It absolutely is an undiscovered gem, Lyssie! I was totally blown away by how much I loved it. I have always wanted to visit Laos! This is such a beautiful and tranquil hotel and I love places that I can escape from the city for some rest and relaxation! 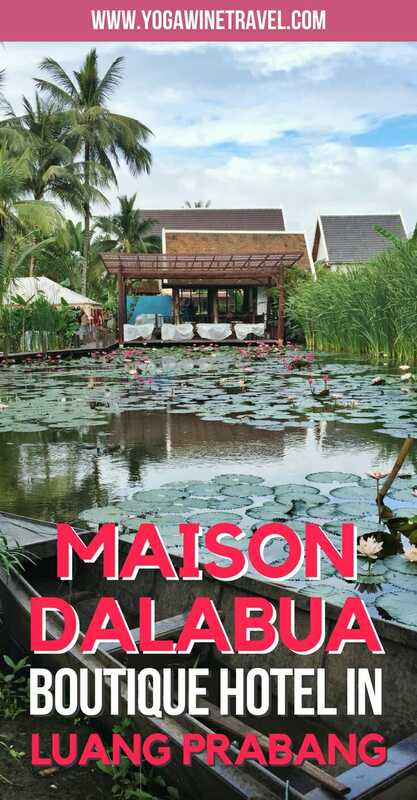 Definitely going to bookmark Maison Dalabua for the future! What a lovely place. It has a Zen-like serenity and a wonderfully calm aura around it. A great place to rejuvenate the body, mind and the soul. Such a lovely place to unwind .Lets just hope these offbeat destinations remain this way and maintain the charm. Looks like an amazing place to stay, peqceful and relaxing! Laos is definitely on my bucket list! I loved this hotel too! I visited the hotel on my trip in May and also had lunch Manda de Lao – so yummy! I too am still dreaming of the food…and the cocktails were amazing. 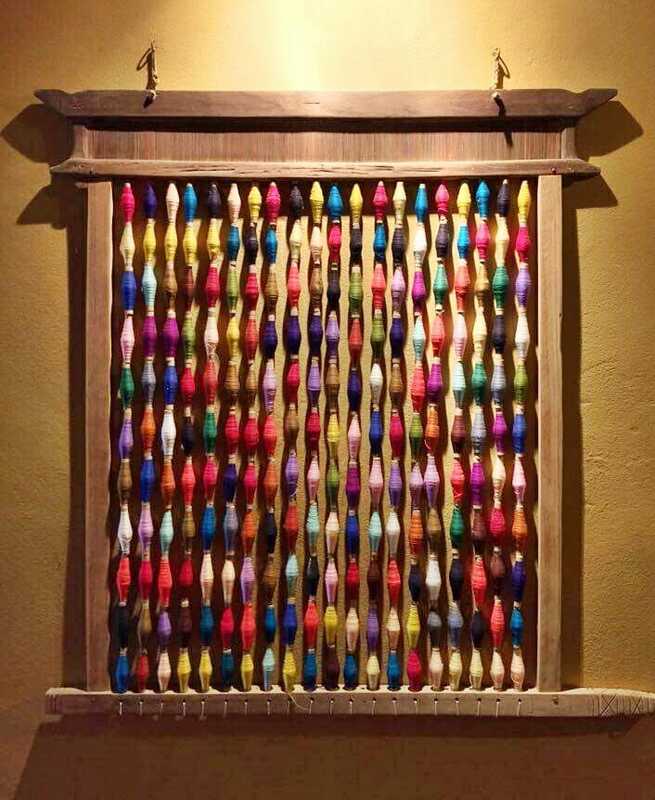 I absolutely adored the ponds with the beautiful lotus…and I LOVED the wall art with the sewing threads. Beautiful colours. Thanks so much for taking the time to read this, Ulli! My God you are so blessed to have visited this place. I’m dying to get to Asia ASAP and don’t know where to go first. Laos wasn’t on my radar, but it definitely is now. Make sure you visit Sri Lanka as well, CJ! It truly is spectacular, I loved the decor and service. I hope you get to visit one day! Haha hope you’re enjoying the weekend! At rates $215 the experience is worth it. The ambiance seems to be soothing. I don’t think I would ever want to come out of this place. The market too seems interesting, though I would have loved to see what all were being sold.